The end of 2018 marks the demise of Donald Trump’s “rubber stamp” Congress. To the surprise of many, the Democratic Party managed to regain control of the House of Representatives during the midterm elections. With the Democrats controlling the House, Trump might decide that the Presidency is no longer any fun – with too many obligations and duties, demanding such loathsome tasks as reading and listening to other people. Meanwhile, the Democrats are scrambling to present a united front behind whomever might be their 2020 presidential nominee. The party’s establishment seems terrified that a new generation of progressives – exemplified by Alexandria Ocasio-Cortez – might scare away the deep pockets of K Street lobbyists. On the other hand, progressive-minded voters have been conditioned to view Centrists as corporatists in the tradition of Hillary Clinton. Will a unifying candidate, with the backbone to advance a forward-looking agenda, gain enough traction to rise above a large pack of ambitious contenders? 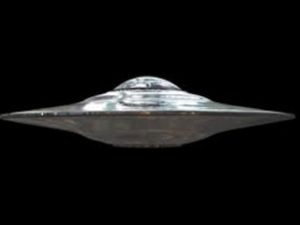 American Cosmic will offer information about the involvement of Silicon Valley entrepreneurs in the reverse-engineering of UFO technology and the assimilation of that technology into products manufactured by aerospace industry giants. This book could have a significant impact on the acceptability of the taboo subject of UFOs. (They are now referred to as unidentified aerial phenomena or UAPs to avoid the stigma of lunacy associated with UFOs.) A significant amount of rumbling from the rumor mill suggests that the Pentagon is poised to release some “dramatic” UAP videos in January or February. The Trump Administration tried to bury the report, which they were legally mandated to issue, over a holiday weekend. When that failed and the report drew wide coverage, President Trump, his press secretary, and two cabinet secretaries tried to discredit the assessment and disparage the work of more than 300 scientists and experts from federal, state, and local governments, tribes and Indigenous communities, national laboratories, universities, and the private sector who contributed to the report, many on a purely voluntary basis. Hopes run high that 2019 might be the year when decisive action is taken by special counsel Robert Mueller and Congress to end the destructive, scandal-plagued Trump presidency. December 16, 2017, brought some severe headaches to those who make a practice of denying that UFOs really exist. The New York Times published a shocking story about the Defense Department’s Advanced Aerospace Threat Identification Program (AATIP). AATIP was headquartered on the fifth floor of the Pentagon’s C Ring and was managed by Luis Elizondo for the Defense Intelligence Agency. A 2009 Pentagon briefing summary of the program prepared by its director at the time asserted that “what was considered science fiction is now science fact,” and that the United States was incapable of defending itself against some of the technologies discovered. Skeptics and UFO debunkers immediately set about attempting to put the toothpaste back into the tube. Some news outlets and blogs followed the general theme of “nothing to see here – move along”. Some supposedly scientific sources published very un-scientific reports concerning the metal alloys held by Bigelow Aerospace (BAS). None of those reports were based the source’s own examination of any such metal samples. Similarly, the sources conducted no reviews of any BAS reports concerning those metals. Other attempts at pushback focused on the false claim that the $22 million study conducted by BAS revealed nothing. On the other hand, George Knapp of KLAS TV News in Las Vegas pointed out that Bigelow Aerospace produced 36 technical reports and 38 other reports (some of which exceeded 100 pages) based on information gleaned from this project. Knapp also notes that Luis Elizondo has 24 videos from AATIP investigations. Knapp expects that all of those videos will be released. So, either it should be terrestrial, which we can find out very quickly, or it could be extraterrestrial, in which case you’d expect that it would vary by a few percent from the standard ratio. Most of those machines are mass spectrometers and they are often used by geologists, among other people, who look at meteorites. Meteorites are extraterrestrial and they don’t have the same ratio of isotopes that you do if you pick up a piece of iron on earth. So they are used to looking at ratios that are a little bit different, but what we find are ratios that are 100% off. April of 2018 brings the release of American Cosmic, a book by Professor Diana Walsh Pasulka from the University of North Carolina at Wilmington. American Cosmic will raise immense problems for the UFO denialists because it will offer information about the involvement of Silicon Valley entrepreneurs in the reverse-engineering of UFO technology and the assimilation of that technology into products manufactured by aerospace industry giants. More important, Dr. Pasulka discusses her trip to a UFO crash site in New Mexico (not Roswell) where crash debris is still being collected for examination by scientists working within the appropriate specialties. She shares the explanation provided to her by those entrepreneurs that inspections of material from this site continue to provide the inspiration and direction for some of the newest technological innovations. Some of those products are already in use. The recent revelations made by the team represented by Luis Elizondo are only the beginning of an evidentiary avalanche, which will overwhelm those who continue to deny the reality of UFOs. Meanwhile, the rest of us can enjoy the music. Since that moment, an enormous list of broken campaign promises has buried those false assurances of transparency. Pondering over the heap of Obama’s discarded “bait and switch” enticements can cause a person to wonder how this man expects to get re-elected … until the Republican aspirants come into view. The We the People platform on WhiteHouse.gov gives Americans a new way to create, share, and sign petitions that communicate your views about your government’s actions and policies. If a petition meets the signature threshold, it will be reviewed by the Administration and an official response will be issued. And we’ll make sure that the petition is sent to the appropriate policy makers in the Administration. 5,387 people had signed the petition for immediately disclosing the government’s knowledge of and communications with extraterrestrial beings, and 12,078 signed the request for a formal acknowledgement from the White House that extraterrestrials have been engaging the human race. The denials made by Phil Larson are as false now as they were many years ago, when a 15-year-old high school student named John Greenwald, Jr. began sending Freedom of Information Act requests to the Pentagon, Air Force and numerous government agencies to ascertain what our officials had learned about those Unidentified Flying Objects, which have aroused so much curiosity since the advent of the Internet. Over the years, John Greenwald has amassed a collection of over 600,000 pages of documents, which are available for free on his website, The Black Vault. When I started researching this phenomenon fifteen years ago, you quickly learn that the government and military alike dismiss the entire topic, deny any involvement or interest in it, and they claim they could explain the mystery after their official investigation back in 1969 – and haven’t collected anything since. Nothing could be further from the truth. In the regulation entitled, “Operational Reporting,” chapter 5 outlines procedures for cataloguing different types of sightings, including the third on the list, “Unidentified Flying Objects” or UFOs. Although this reference to UFOs is not a reference to alien spacecraft, the fact remains that this publication shows that the military does have an interest in the phenomena, whatever it might be. Upon further investigation, Greenewald uncovered that the reports made under this Air Force document were called CIRVIS, or Communication Instructions for Reporting Vital Intelligence Sightings, reports. He noted that they are filed and sent to the NORAD installation –which he then found out when he filed a FOIA request for the records – that NORAD was not subject to the FOIA. This was due to the fact that it was under control by both Canadian and U.S. forces – therefore excluding it from U.S. law. Pushing forward, a simple phone call by Greenewald to the Department of National Defence (DND) in Canada yielded more than 100 pages of UFO / CIRVIS reports. According to NORAD – there was nothing. According to Canada – there was a pile of records. On Sept. 2, The Huffington Post made inquiries to the Air Force about the UFO directives. A spokesman said he’d arrange an interview with an appropriate officer. But before the interview was set up, the 111-page instruction manual was revised on Sept. 6, and the UFO instructions were deleted, as were other portions of the document, now shortened to 40 pages. For several weeks, military officials failed to respond to HuffPost inquiries about the rewritten manual, which included changes to areas unrelated to UFOs. Finally, on Oct. 5, after several follow-up calls, an Air Force major emailed a response, informing HuffPost that UFO reporting is not a duty of the armed forces branch. He denied any cover-up, and instead said it was a coincidence that the document was updated after this news organization asked for an explanation. Yes, Mr. Podesta . . . but it’s so much easier for our officials to just lie. They lie about everything else. Why should this subject be treated any differently?